Welcome to Day #5 of Chocolate and Africa Theme Weeks. 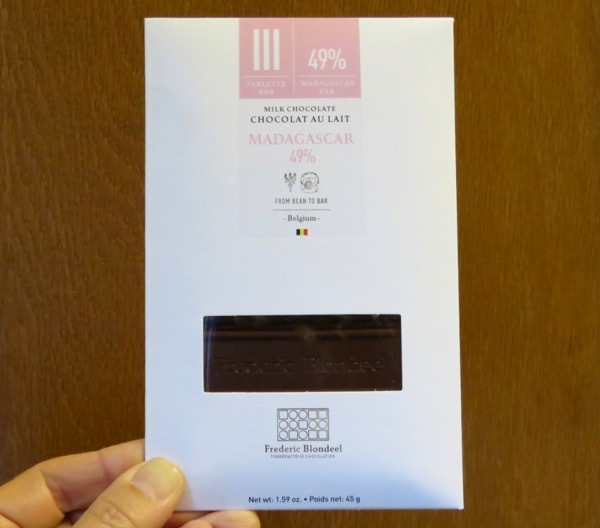 Today's Milk Chocolate Madagascar 49 percent bar from Frederic Blondeel (Veurne, Belgium) tasted a lot like yesterday's dark Madagascar bar from the same maker, only with milk and a bit more sugar. It had the same (sweet cocoa, brownie, chocolate milkshake) chocolatey + berry jam aroma as yesterday's Tablette V 65 percent dark Madagascar bar, also from Frederic Blondeel. The chocolate and berry flavors were present throughout the tasting experience, and the flavor was smooth with very little acidity or bitterness. 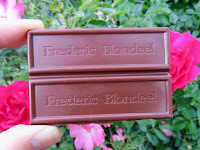 Blondeel's relatively thin bar(s) enabled a quick and even melt and easy access to flavors (maximum surface area to mass ratio). *Tablette is another name for a (chocolate) bar. 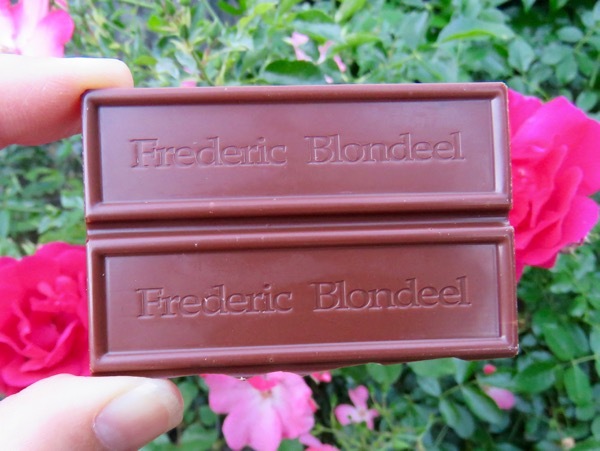 Today's Tablette III is part of a series of single origin bars from Frederic Blondeel.